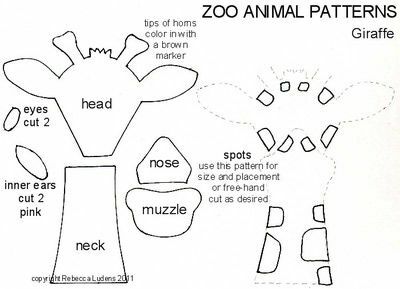 I made the giraffe from yellow and brown patterned paper scraps, using the pattern below. The original link to the pattern no longer works and I tried to find a replacement link to the original source, but could not. 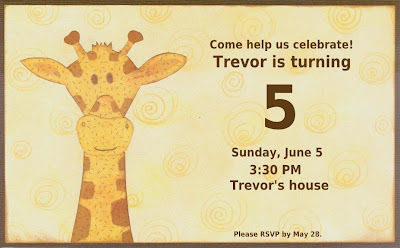 After piecing together the giraffe, I attached it to the yellow and brown papers, scanned it, and then added the information digitally. I was able to quickly and easily change the information to create the invitation for the other party. I'm glad that Trevor has total faith in my crafting and cake decorating abilities! I am a bit concerned about my ability to create a life-sized jaguar, but I can probably pull that off. Maybe. A monkey pinata that hangs by one arm? I've made many piñatas in my life, but the vast majority have been shaped like an oval. As for a zebra cake that is supported by only its 4 legs.... no way! 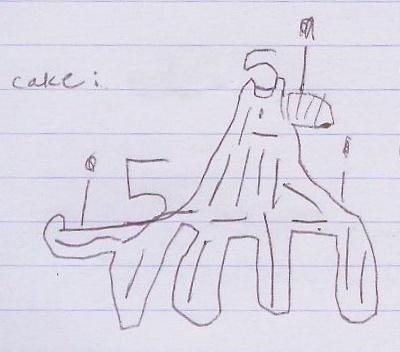 I have about six weeks to talk him into a more manageable, yet still fantastic, cake design. Awwwwwwe! So cute! 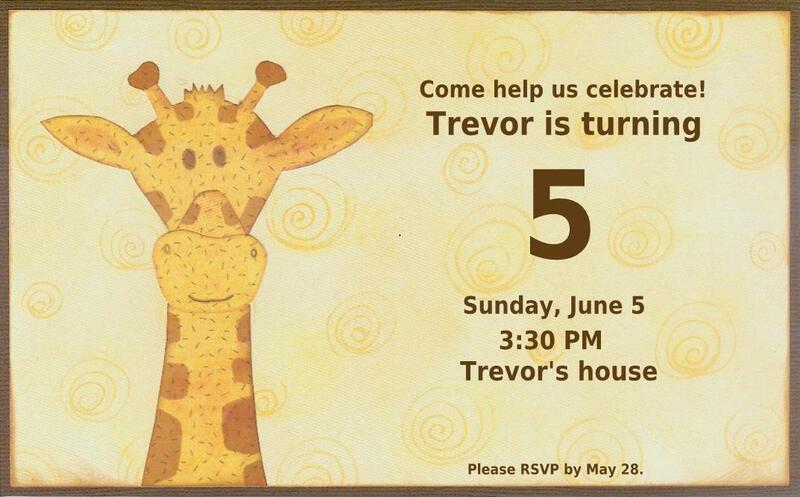 I hope he has a wonderful party! I know he will with YOU as the planner!! !